The Pacific Coast Region Championship was held on 30-31 March at Western Oregon University. 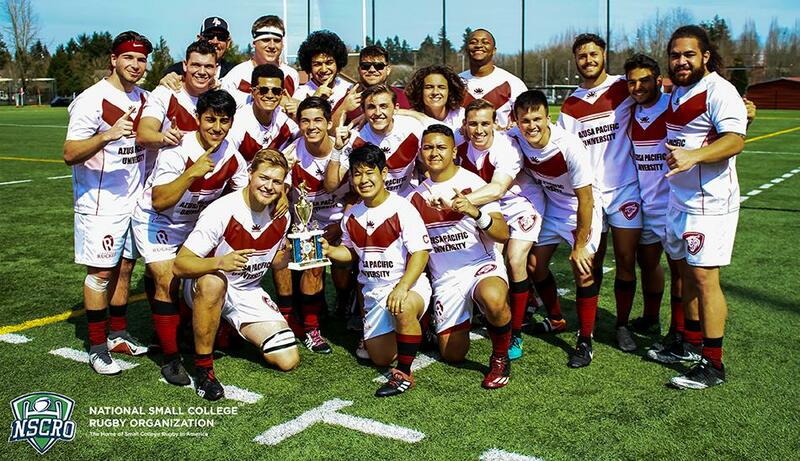 Four teams: Western Oregon University, Humboldt State University, Central Oregon Community College, and Azusa Pacific University took to the pitch for a chance to qualify for the 2019 NSCRO Challenge Cup National Championship. On day one, Humboldt took an early lead scoring 19 points against Central Oregon's 10 by the half. The Bobcats tried to hold the Lumberjacks at bay but in the end, the Lumberjacks finished the match 27-17. Azusa Pacific dominated the first half of their semifinal match against Western Oregon with a score of 29-0. WOU hit the second half hard - scoring tries while holding APU at bay. Unfortunately, it was not enough and APU held on to win 29-21, advancing to Sunday's championship match while WOU would meet Central Oregon for 3rd/4th place. The Red Wolves met the Bobcats the following day for 3rd/4th place. WOU took advantage of being on their home turf with a comfortable lead going into the second half, 34-7, and grabbed the 3rd place title with final score of 49-7. The championship match featured the two California teams - Humboldt and Azusa Pacific. It was a relatively even match in the first half with the Lumberjacks scoring five points while the Cougars put three points on the board. Azusa Pacific dominated the second half and was crowned the 2019 Pacific Coast Champion with a final score of 25-5. The tournament MVP was Parker Vincent of Azusa Pacific University. The Heart & Soul winners were: Zach Ferguson (Central Oregon Community College), Matthew Cornish (Western Oregon), Nako Te'i (Humboldt), Nigel Burton (Azusa Pacific).